Buy a New Computer or Fix the One You Have? Most computer users right now may own a one year old computer or even older. These computer users have come to love their computers as it became a part of their daily routines and that they spent almost all of their waking hours in front of their machines. Because of this fact, most users have become so used and comfortable with how their machines are setup and would love to keep their computers if they can. But keeping a computer for several years may be very hard to do specially with the fact that computer systems do slow down over time and that they may already have lots of machine errors that causes them to freeze up and crash down every now and then. So is it the end of the road for such computers? Is it time to buy a new one? Or should users just fix the errors in their computers and put up with the machines that they have come to love? There are actually several factors to consider before one can answer the above question/s. One should consider if he can afford to buy a new one or if he can only afford a repair; thus a clear budget is important. Another factor is the age and the quality of the “old” computer’s performance; is it affecting the user’s activities? Another factor to consider is the difference of the cost between buying a new one and a repair, is the difference big enough? Or can the difference be outweighed with the fact that there is a real difference in performance between a brand new and a newly repaired computer? If budget is really tight, some users may not have other options but just go for a repair rather than buying a new one. But if the computer is at least 5 years old (read: very old) and that repairing it would cost about $200 which is approximately 30%-50% the price of a decent desktop set then might as well go for brand new. But if the cost for repair is just about a hundred dollar, then maybe a repair is a better option. It is also important to consider the cost of migrating to a new computer. There are computer sellers that offer migration of documents, pictures and other files from an old computer to a new one. Programs and settings however can’t be migrated and it might be costly to purchase installers of software that a user has installed over the years. If budget is tight for migration and the user can’t handle the task himself then buying a new computer might not be a good option. If a user opts to buy a new one though, especially if he’s got the money for it, he may want to consider other factors like the major inconveniences and the time constraints. The user will have to get used to the new system especially with the new buttons, widgets and gadgets to learn in today’s new computer systems. If the user uses internet a lot, he may have to make sure his bookmarks or favorite sites are saved in the new computer so the sites will be available for him when he needs them. This goes the same for email data and address books. When considering a repair, a user can opt for paying a technician or doing it by himself. As discussed above, a technician may cost a lot and doing it yourself may not be easy. There are online repair tools though that some users may find easy to follow. These online repair tools can be downloaded too and so users may install it in their computer system and use them to repair their computer errors. Users will soon found out that using these tools will cost about 150% less than paying a technician to do the same job and a whopping 500% less than buying a new computer set. 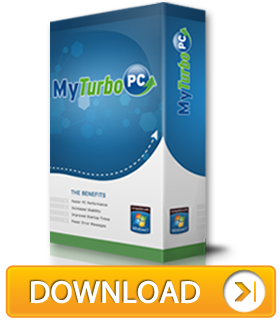 If a user is still not sure if he wanted to replace his computer with a new one or just repair the errors, he may want to look into MyTurboPC and its features and capabilities. They can try the software for free and see for themselves how easy and effective it is to fix computer errors.